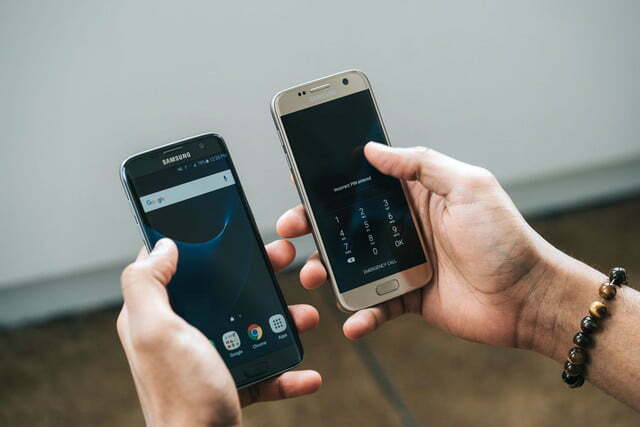 Samsung’s two flagships have much in common, but there are some key differences. 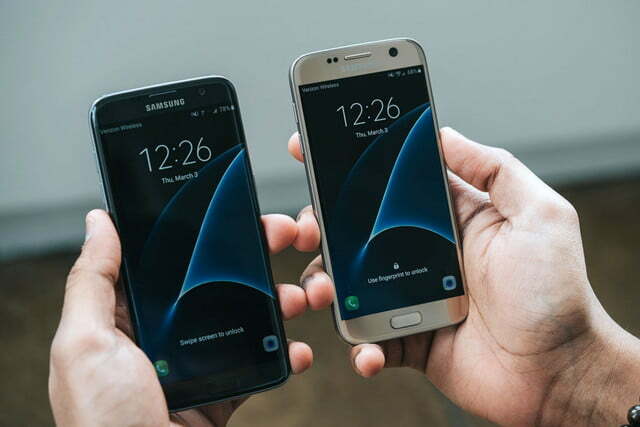 You can read our full reviews for the Galaxy S7 and the Galaxy S7 Edge to learn which one you want, but we thought a head-to-head comparison might make your decision a little easier. On the surface, the Galaxy S7 Edge boasts a bigger screen and two edges. The standard S7, on the other hand, has a traditional design and a more petite frame. Both are excellent phones that are more than worthy of filling your pocket, but which one is right for you? Below are the key differences between the two Galaxies. 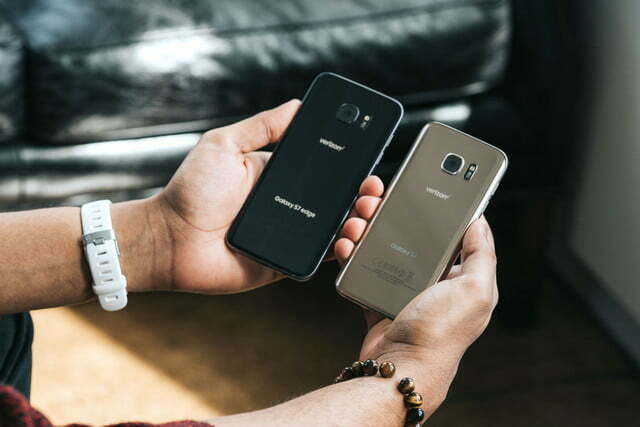 When it comes to specs, the Galaxy S7 and S7 Edge are evenly matched. Both U.S. models rock Qualcomm Snapdragon 820 processors and 4GB of RAM, which result in super speedy performance. The European counterparts for the S7 and S7 Edge have Samsung’s Exynos octa-core onboard, which is said to be weaker than the Qualcomm chips, but not noticeably so. The two Galaxies also have special water cooling systems inside to keep the heat down while gaming or taking on processor-heavy tasks, though both do get warm in your hand. In terms of performance, these two are completely tied. Both phones start at 32GB of storage and support expandable storage via MicroSD cards up to 200GB, so there’s no difference there, either. The 12-megapixel, dual-pixel back cameras on the Galaxy S7 and S7 Edge are among the best smartphone cameras you can find. The f/1.7 aperture and the 1.4µm dual-pixels allow more light to enter the sensor and result in stunning photos in an array of lighting conditions. As usual, Samsung’s camera app is fast and capable, and the new dual-pixel tech boosts low-light performance to entirely new levels. Although it can occasionally blow out night time shots, the camera typically takes great shots with very little light. Sometimes the resulting pictures are even better than ones taken with the iPhone 6S Plus, which is a fantastic feat. The front-facing 5-megapixel cameras are equally matched and take decent selfies. Spec-wise, these two are tied. The only real spec difference between the Galaxy S7 and the Edge is battery capacity. The S7 has a 3,000mAh battery, while the Galaxy S7 Edge boasts a 3,600mAh pack. The slight upgrade in battery size should be negligible because the Edge has a larger screen, but it actually matters. In our testing, the S7 Edge regularly showcased better battery performance than the S7. However, both phones do support Quick Charge 2.0 via Micro USB and wireless charging, so you’ll be able to juice them up quickly in a pinch. Neither phone’s battery is removable, though, so if that is a problem, you won’t want either S7. We found the Galaxy S7 and the Edge both last through a busy day with ease, though the Edge can hold out longer. Our S7 regularly had 10 percent less battery than the Edge after a solid day’s use. As anyone with a smartphone knows, that 10 percent can mean the difference between having a dead smartphone on your cab ride home or one with just enough juice to send a text or two. The S7 and S7 Edge both have Quad HD Super AMOLED screens with 2,560 x 1,440-pixel resolution, but the S7’s screen is much smaller at 5.1-inches versus the 5.5-inch screen on the Edge. Thanks to the curves, though, the Edge doesn’t feel like it’s 5.5 inches, and is very comfortable to hold. If extra screen space matters to you, get the Edge. Other than size, there’s no difference between the two displays. Both support the Always-On display feature, which is really cool and helpful for those of you who like to know the time at all times. We enjoy the curved edges when viewing most content, including movies, but some have complained about the edges being bothersome while watching YouTube. We recommend you look at it in a store before buying. The main motive for buying the S7 Edge over the regular S7 is that the edge is useful. If you love big screens, but also want to be able to use your phone one-handed, the Edge is for you. The Edge panels give you quick access to your favorite apps, contacts, and shortcuts for specific actions in Samsung apps. You can also add edge panels with news coverage and more. The more popular Edge phones become, the more app developers will make cool and useful Edge panels. Using the regular S7 after using the S7 Edge feels disappointing. You miss the edge after you’ve gotten used to having it. It also looks stunning when viewing pictures, videos, and other media on your device — though, again, the edge does seem to bother a minority of people. This time, the Edge is worth it.